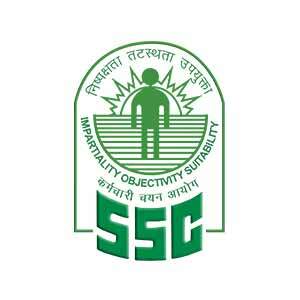 SSC CHSL Recruitment 2017: SSC (Staff Selection Commission) conducts SSC Combined Higher Secondary (10+2) Exam every year to recruit eligible candidates for the post of Lower Division Clerk (LDC) and Data Entry Operators (DEO). Combined Higher Secondary Level (CHSL) is the top level examinations in India conducted by SSC. The examination is divided into 2 parts- Part I held from 4 to 26 March 2018 while part II on 8th July 2018. The successful candidates of part I will be called to attend part II. SSC CHSL 2017 (10+2) Tier-1 examination official notification has released. Candidates can Click here to apply for the SSC CHSL 2017. The minimum age to apply for SSC CHSL 2017 is 18 years and maximum age is 27 years as on 1st August 2017. The candidates can apply for SSC CHSL 2017 only through online mode. The candidates are advised to go through the eligibility criteria before they start application procedure. The candidates can apply through online mode from the official website http://ssc.online.nic.in OR http://ssconline2.gov.in. Candidates have to go to the official website of SSC. The candidates have to upload the scanned images of their photograph and signature. To complete the application process they have to pay the application fee. The size of the photograph must be between 4 kb to 12 kb & resolution should be of 100-pixel width by 120 pixels height. The size of signature must be between 1 kb to 12 kb & resolution should be of 140-pixel width by 60 pixels height. Candidates can pay either through SBI bank challan (challan can be downloaded, printed & submitted at any CBS branch of SBI) or net banking. Nominal service charges may be included in net banking mode of payment. The application fee is exempted in case of female candidates and all the reserved category candidates. The Recruitment procedure of SSC CHSL consists of Two stages- Written examination and Skill test or Typing test. The successful candidates of stage I (written examination) called for the stage II skill test or typing test. The SSC CHSL 2017 gives an opportunity to eligible candidates to get recruited at the posts of LDC (Lower Division Clerk) and DEO (Data Entry Operator) in numerous central govt. offices. The reserved category candidates will be adjusted against general category vacancies according to their rank in the merit list. The vacancies of reserved categories will be filled individually by eligible candidates of reserved categories only. There will be 4 sections (General Intelligence, English Language, Quantitative Aptitude & General Awareness) carrying 50 marks for each section. The question paper will be available both in Hindi & English except the English Language. There will be MCQ type questions and ¼ marks will be deducted for each wrong answer. The weightege of each will be 50 marks. The qualified candidates of part I will be eligible to attend part II examination. This examination is qualifying in nature and will be conducted to test the skills of the candidates related to the posts. This test will be conducted in Hindi & English both for the qualified candidates of written examination. The candidates have to mention the language of typing during filling the application form. This examination is also qualifying in nature. The typing speed for the English language should be 35 words/minute and for Hindi language, it should be 30 words/minute. This test will be conducted for qualified candidates of written examination. The candidates must maintain data entry speed of 8,000 key depression/hour on the computer. These entries will be judged on the basis of correct entries. The duration of this skill test will be 15 minutes. A printed matter of 2000-2200 strokes/key-depressions in the English language will be provided to each candidate. SSC is going to conduct SSC CHSL 2017 examination this year. The appearing applicants can download their admit cards from the official website of SSC that will be released in February 2018. The applicants will have to bring their admit cards at the examination center, otherwise, they will not be eligible to write the examination.